We will fight whatever way the United States wants. After winning the Presidential election in a landslide, President Johnson was faced with a deteriorating situation in Vietnam. Pressured by advisers predicting “disastrous defeat,” intent on proving his and America’s “credibility,” fearful of drawing China and the Soviet Union into the conflict, and passionate about maintaining focus on his “Great Society” initiative, he planned a course of gradual escalation he hoped would avoid public scrutiny. 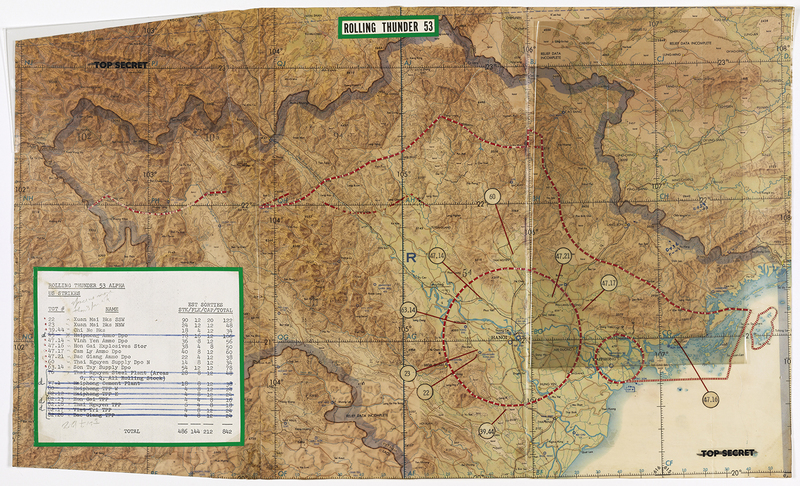 In January 1965, after southern Communist forces attacked a U.S. air base, the administration had a pretext to launch Operation Rolling Thunder, a sustained bombing campaign against the north. An air campaign necessitated an air base, and an air base needed protection, so the first American boots hit the ground soon after the bombing began. Hundreds of thousands of U.S. combat troops would follow. America was at war. 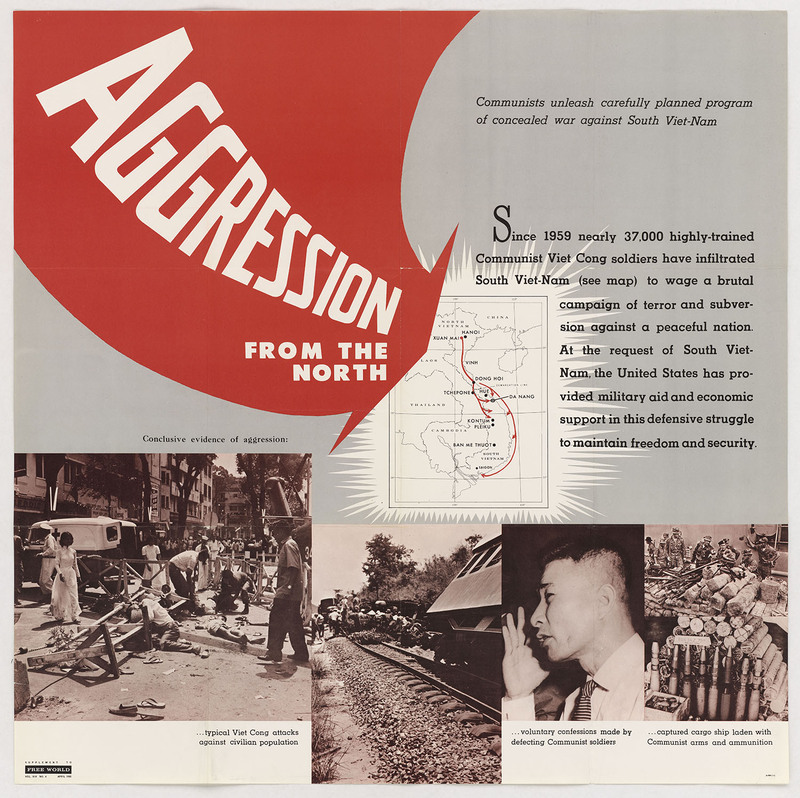 A 1965 policy paper titled “Aggression from the North” portrayed the war as an invasion by the North Vietnamese with Moscow pulling the strings. 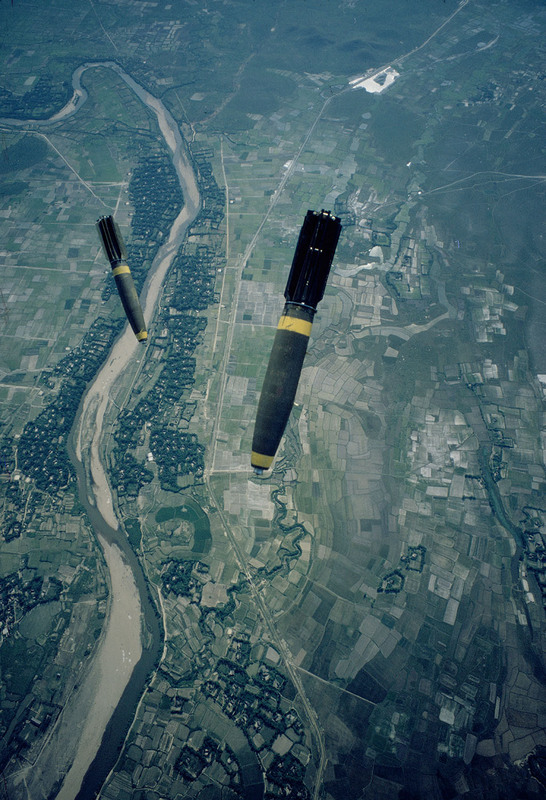 Bombs fall from an A-4C Skyhawk bomber on the Truong Quang Tin Railroad bridge during an air strike over North Vietnam. This map shows “red zones” where bombing was prohibited by the White House. 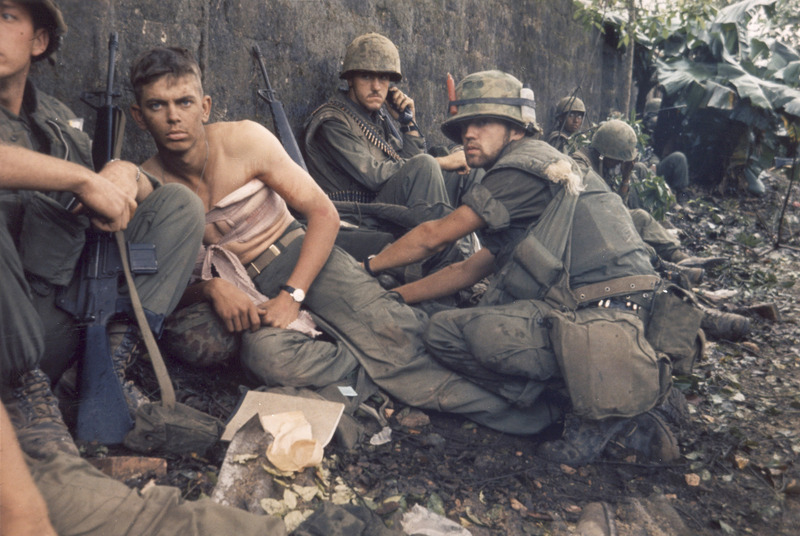 The American strategy in Vietnam was to suppress the Communist insurgency through the ground war while winning the hearts and minds of the South Vietnamese through humanitarian efforts. But it was difficult to build bonds with people whose lives were upended by the search-and-destroy tactics of the combat forces. Back at home, antiwar protests mounted. Public support for the war fell below 50 percent for the first time. In October 1967, nearly 100,000 people joined the March on the Pentagon to protest the war. The Johnson administration tried to tamp down dissent with news of progress, going so far as to call General Westmoreland home from the battlefield to present a glowing report to the American people. Military officers were pressured to overestimate enemy casualties and underestimate enemy strength—a practice that would have devastating consequences for President Johnson. As troop levels neared half a million, casualties mounted with no apparent progress, and tens of thousands of young men—disproportionately blue collar and minority—were drafted each month, opposition to the war mounted. Some peace-promoting doves saw the war as a well-intentioned but disastrous mistake. War-minded Hawks blamed the media for turning the population against a winnable war. 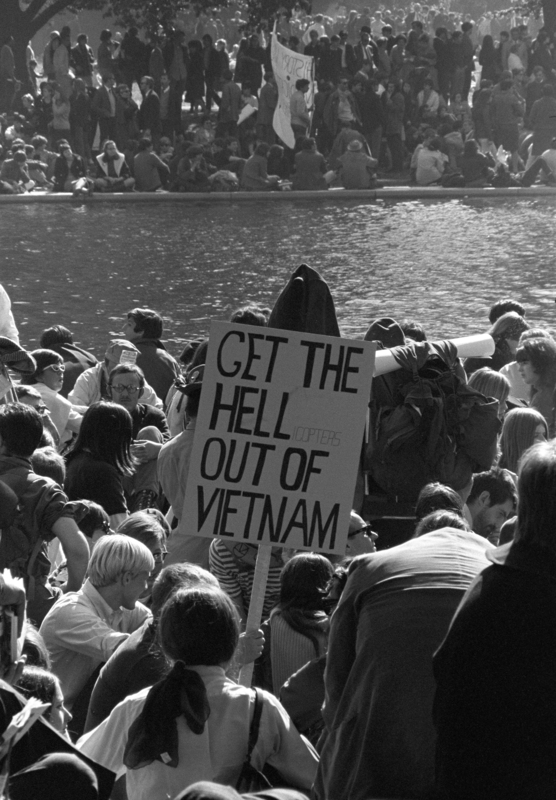 The bitter polarization of American society begun during the Vietnam War is still evident today. 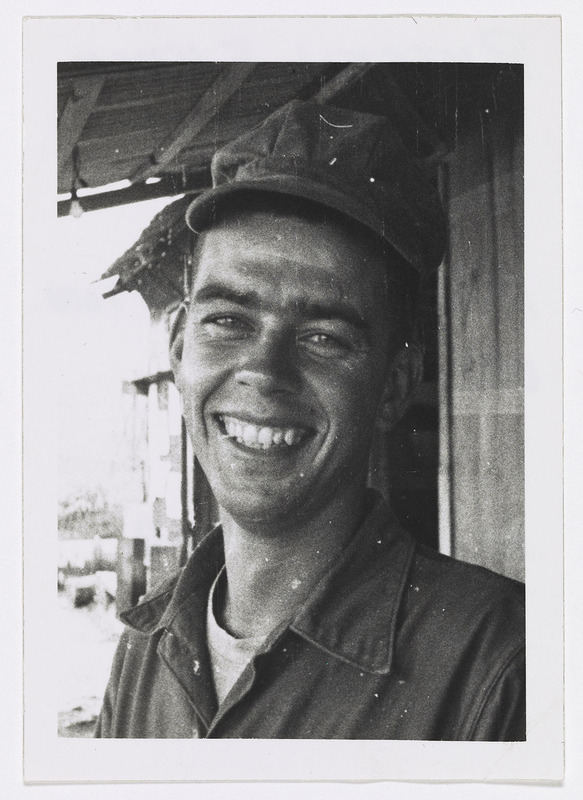 Corporal Russell Forrest Keck died in Vietnam on May 18, 1967. He was 20 years old. In long letters to President Johnson, Russell Keck’s parents expressed their anger and grief at losing their son. 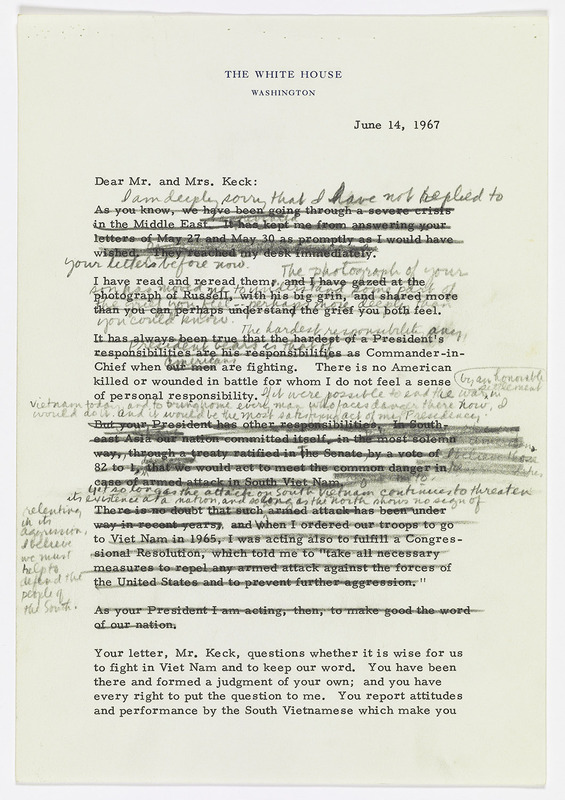 His draft reply, with its layers of revised and rejected phrases, reveals his struggle to respond. In October of 1967, 70,000 protesters marched on the Pentagon, the headquarters of the Department of Defense, to protest the war in Vietnam. It seems now more certain than ever, that the bloody experience of Vietnam is to end in a stalemate. On January 31, 1968, the South Vietnamese were looking forward to Tet, a celebration of the lunar new year. They were caught off guard when 70,000 Communist troops struck more than 100 towns and cities with swift and stunning ferocity. Most of the fighting was over in a few days, but a second wave came in late April and a third in August. Although the enemy suffered devastating casualties and their attempt to spark a general uprising completely failed, many Americans concluded the U.S. and its allies had suffered a massive defeat. 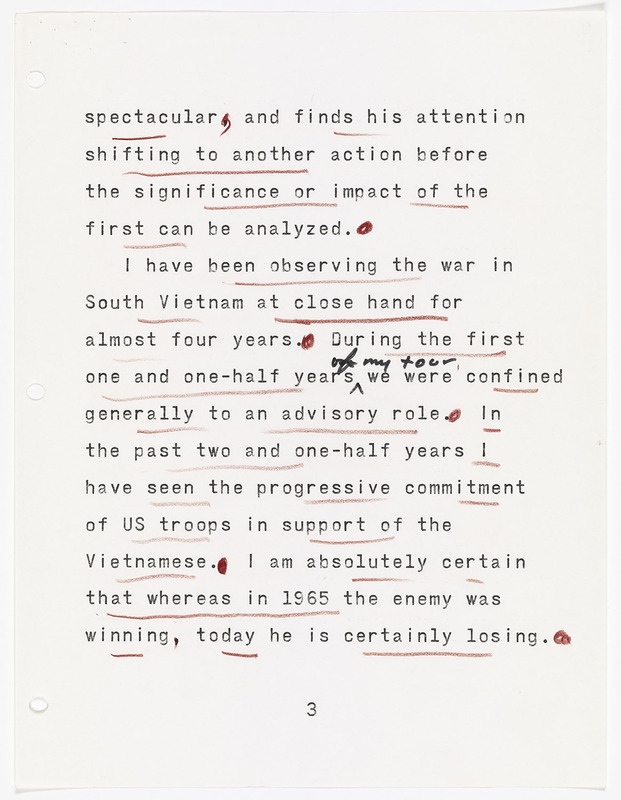 When a Defense Department report regarding the need for 205,000 more American troops was leaked to the New York Times, Americans concluded the war was stalemated and the Johnson administration had lied to them. President Johnson brought the commander of U.S. forces in Vietnam, General William Westmoreland, stateside to project optimism about the war at the end of 1967. 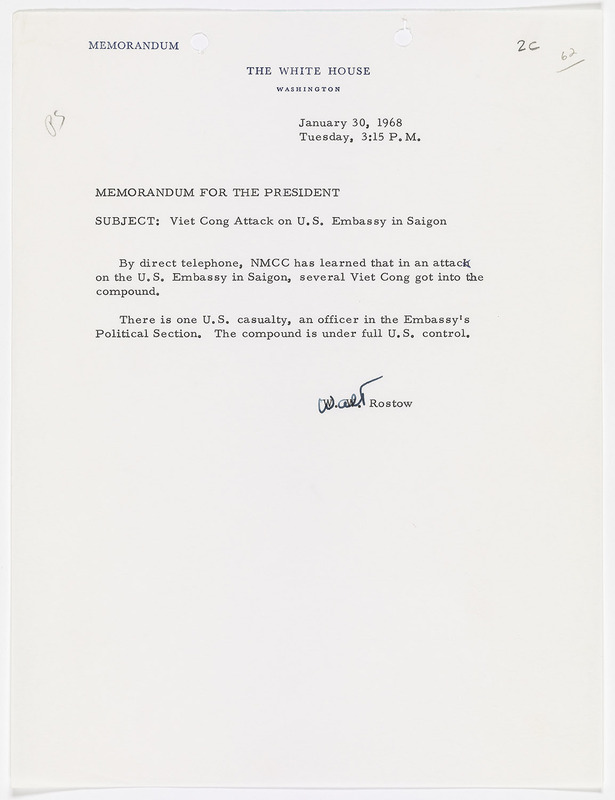 Special Assistant for National Security Affairs Walt Rostow notified President Johnson of the breach of the U.S. Embassy in Saigon during the Tet Offensive. 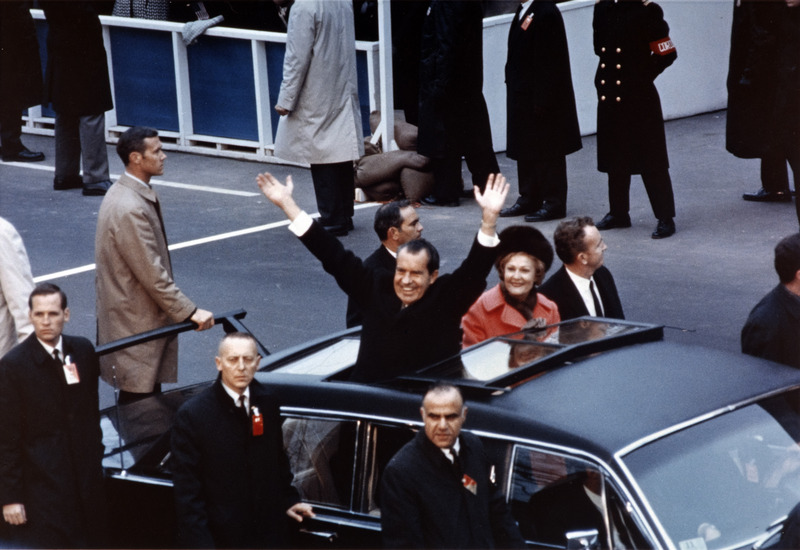 Nixon’s Presidential campaign led many to conclude he had a “secret plan to end the war.” Some historians believe he was actually determined to win the war. Others say he planned a negotiated withdrawal from the beginning. We do know he had a secret. He sabotaged Johnson’s peace talks to try to prevent an agreement from threatening his election. As President, Nixon escalated the bombing and expanded the war in Cambodia and Laos. After millions demonstrated in the Moratorium to End the War in Vietnam, he announced his plan for “Vietnamization” and asked “the great silent majority” of Americans for their support. The war continued for four years under Nixon. During that time, 21,041 Americans and over two million Vietnamese, Cambodians, and Laotians were killed. 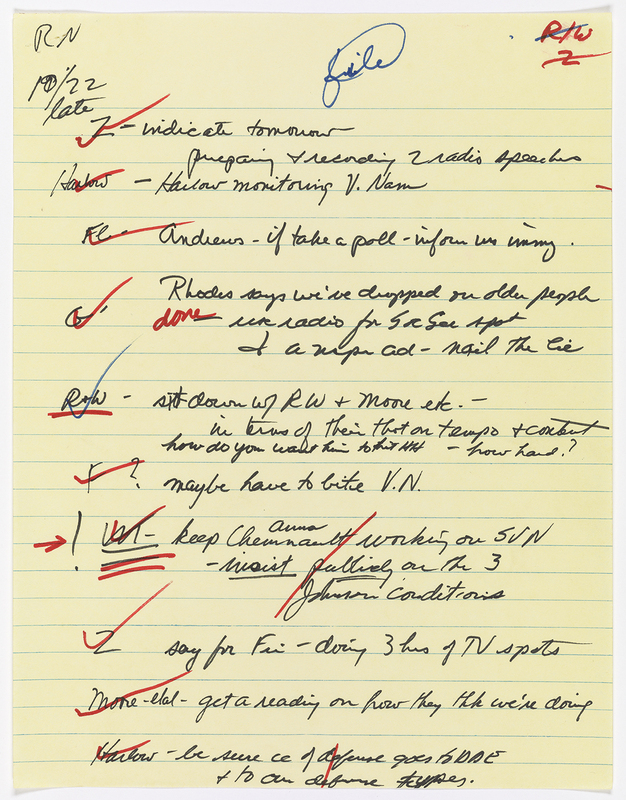 On the night of October 22, 1968, according to the notes of H. R. Haldeman, Richard Nixon’s closest aide, Nixon told him to tell John Mitchell to “keep Anna Chennault working on SVN” and to ask Bryce Harlow if there was “Any other way to monkey wrench” LBJ’s efforts to enter peace talks with both Vietnam regimes. 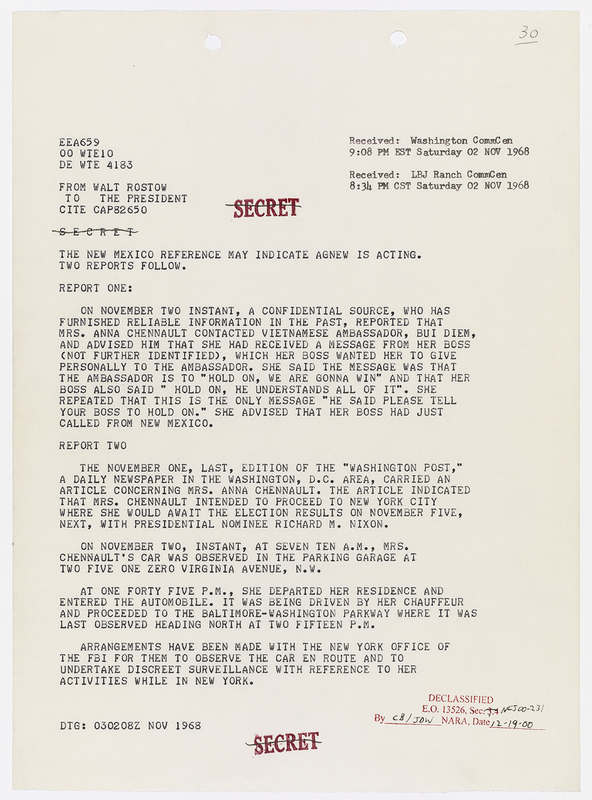 This cable states that on November 2, three days before the election, Nixon campaign associate Anna Chennault contacted the South Vietnamese Ambassador to encourage Saigon to refuse to participate in LBJ’s peace efforts. This page was last reviewed on September 12, 2018.